Di Blasi, Parente & Associados is a Brazilian IP law firm headed by partners Gabriel Di Blasi and Paulo Parente Marques Mendes. Along with one of the most professional and skilled teams in the business, they have been providing legal services together to both domestic and foreign clients for more than 30 years. 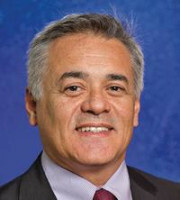 With a focus on technology and innovation in Brazil and around the world, the lawyers and professionals at Di Blasi, Parente & Associados – experts in their respective fields – serve clients in an array of industries, with specialised experience in the areas of energy, life science, entertainment, media and sports, information technology, food and beverage, and fashion law. 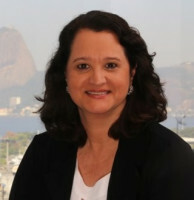 Di Blasi, Parente & Associados operates in all areas of intellectual property in Brazil and provides related legal services in corporate and transactional matters, regulatory and competition, government relations, public affairs and enforcement and litigation, including judicial actions at every level of the courts in Brazil. With solid patent and trademark prosecution teams and a proven legal department to defend and protect clients’ IP rights, the firm is committed to exceeding client expectations and delivering world-class service. legal analysis and opinions regarding corporate taxation and remittance of overseas payments. The firm is a leader in counselling companies on building and positioning their brands in Brazil. The team focuses on creating corporate programmes, all-encompassing plans related to communications and media relations, issues management and multi-level engagement. Di Blasi, Parente & Associados is dedicated to long-term relationships with clients and creating lasting public and private partnerships to facilitate their goals related to public affairs. Di Blasi, Parente & Associados is also at the forefront of innovation in Brazil, dedicated to supporting organisations and institutions in the R&D and academic sectors, as well as having a commitment to the legislative efforts that clients rely upon. The firm partners with universities and the government to achieve unexpected results with unmatched success. Anti-counterfeiting is a major concern for brand owners in Brazil, and Di Blasi, Parente & Associados has a robust anti-counterfeiting programme that is tailored to each client’s specific needs. The anti-counterfeiting group is based in Sao Paulo with easy access to customs officials, information hubs and points of entry. The firm participates at every level when it comes to anti-counterfeiting – from initial reporting, ongoing filings, educating customs agents, accompanying police on seizures, evaluating suspicious products and supervising the destruction of counterfeit goods. When necessary, the firm assists clients in taking judicial measures to stop counterfeiting activity, including the illegal manufacture and commercialisation of such products on the ground in Brazil. The trademark team at the firm is known and recognised for servicing clients, big and small, in the trademark space. Some of the most recognisable trademarks and brands are entrusted to Di Blasi, Parente & Associados for prosecution, management and enforcement in Brazil and beyond. The firm’s passion and knowledge for intellectual property and the law are what sets Di Blasi, Parente & Associados apart from the crowd.